(NORTH BAY, ONT.) – This past weekend, third-year digital cinematography student Aaron Martini left Cinéfest Sudbury with multiple accolades for his filmmaking. The international film festival is host to the 2017 CTV Best in Shorts Competition, featuring 12 finalists, four of which are Canadore College cinematography students and alumni. Martini’s comedy short, Future Sick, took home first place in the ‘Student’ category and runner-up in the ‘Open’ category. His music video, Versa – This is Where We Disappear, garnered the runner-up award in the ‘Student’ category as well. In addition to the honour and prestige associated with the awards, Martini also received $2,750 in prize money. Fellow cinematography student, Maxine Lauzon, also made the competition’s short list for her short film How to Tell Rachel I Love Her and Canadore alumnus Gary Duquette’s short documentary, Spartan Gay Straight Alliance, was among the finalists as well. Cinéfest Sudbury is one of Canada's top 10 film festivals and is attended by the best and brightest from across Canada. Students from Canadore’s digital cinematography program are also making their mark at other film festivals and competitions across North America. Second-year student Morningstar Derosier’s film about missing and murdered Indigenous women, KWE, was a finalist in director Terry George’s human rights filmmaking challenge sponsored by Creative Armenia and Human Rights Watch. Furthermore, Derosier’s film, Demons, has been selected to be screened next month at imagineNATIVE, the world's largest presenter of Indigenous screen content. 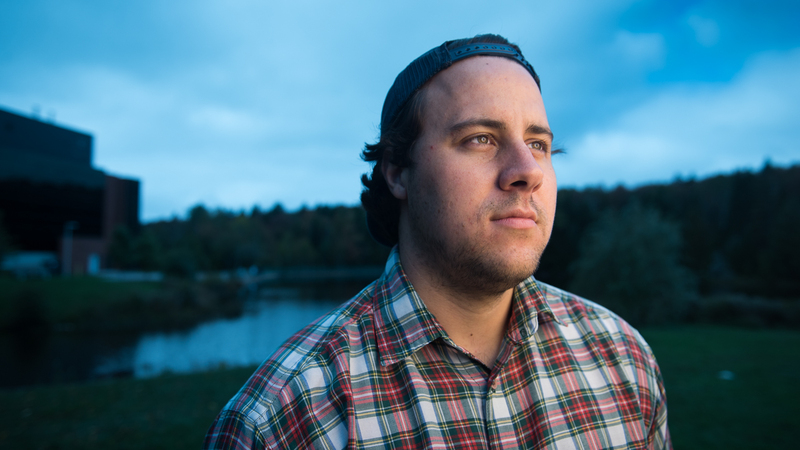 Matt Close, a third-year student, is also on the circuit with his film Flood Blow. The Toronto Independent Film Festival, which presents the best of low-budget filmmaking from around the world, was the venue for the world premiere of Close’s work. This activity follows on the heels of third-year student Jason Manella’s selection by the Jameson’s First Shot’s competition, which made him one of three filmmakers chosen from around the world to have his short film, A Funny Thing Happened to Kelly and Ted fully-funded and shot in Los Angeles in August 2017.